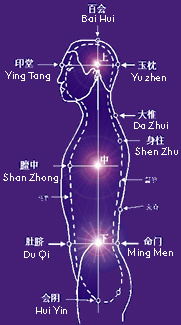 The QiField technique was developed by professor Ming Pang, a Western and traditional Chinese doctor of medicine. Professor Pang developed the QiField technique at the Huaxia Zhineng Qigong Recovery and Training Center in China, the world's largest medicine-less hospital. The QiField technique is conceptually based in the Theory of Entirety. This theory postulates that Humans, Nature and the Cosmos are intrinsically part of one continuous field of energy. This field of energy is said to contain information that can be likened to Intelligence or Wisdom. The technique involves simply connecting to that field, and allowing or directing its influence in order that it can become manifest at the level of human awareness or existence.